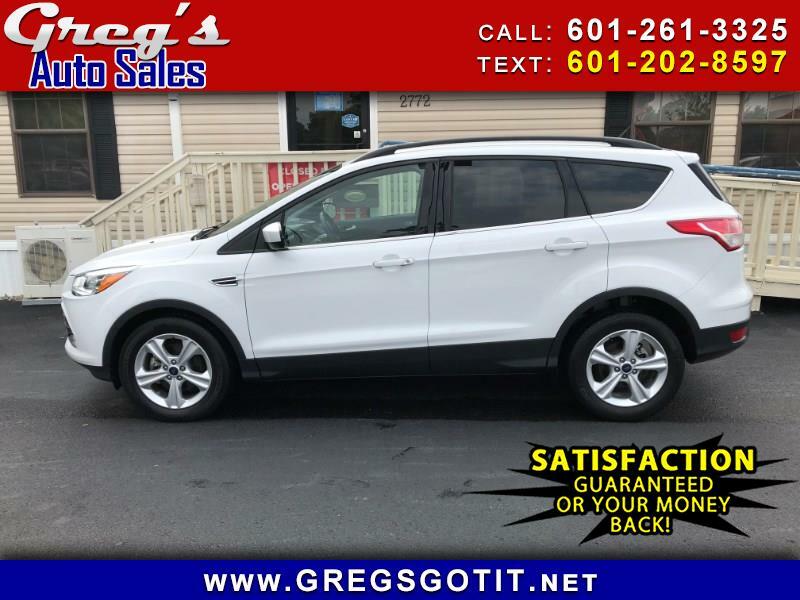 This 2016 Ford Escape comes to us with a 1 Owner Clean Carfax and Excellent Maintenance Records. Vehicle is very Clean Inside and Out. This is not your basic SE Package. Nice Options like Back Up Camera with the Large 7" Touchtone Screen. Dual Electronic Climate Control , Multi-Function Power Front Seat and Power Lumbar. Hands Free Wireless and Satelite Radio to add a few. The 1.6L EcoBoost delivers more than enough power along with excellent fuel mileage ratings. Interest Rates are still low and this makes for a really affordable SUV. This Vehicle is still under Factory Warranty. All vehicles bought at Greg's come with a 5 Day Money Back Guarantee...No Questions Asked. Come see why folks have been doing business with Greg's for over 34 years.